I can't believe that I didn't share this on my blog. 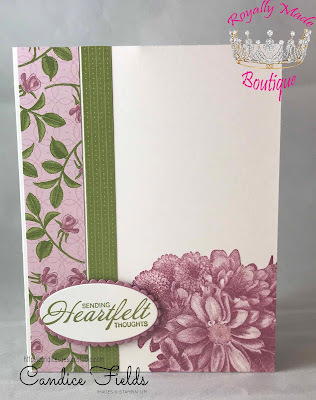 One of my favorite sets in the Sale-a-bration catalog is the Heartfelt Bloom. It's a simple set to make some quick cards or you can do some advance stamping/coloring techniques.